Roofing Estimates App & Roofing Leads Made Easy! 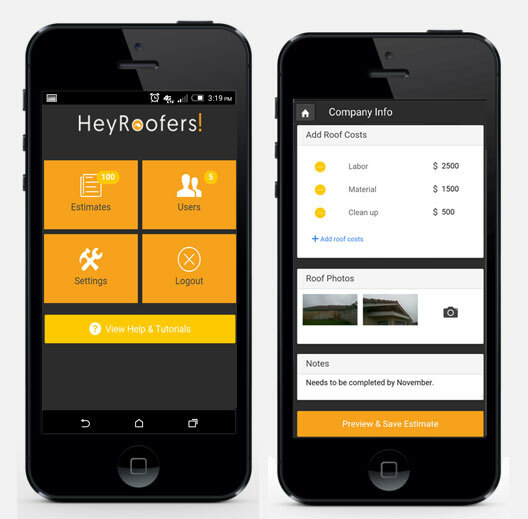 The HeyRoofers roofing estimates app makes creating estimates for your leads a snap! Easily create roofing estimates in a snap and email the estimate to the prospect. Right from the app, you can take pictures of the roof and add other necessary components (roof size, material, roof type, etc.) to draft a roof estimate that can be emailed to the client. done Customize with your company logo and company info. done Sub-users can create estimates under your company. We get you seen in Google & Bing search for roofing relevant searches. 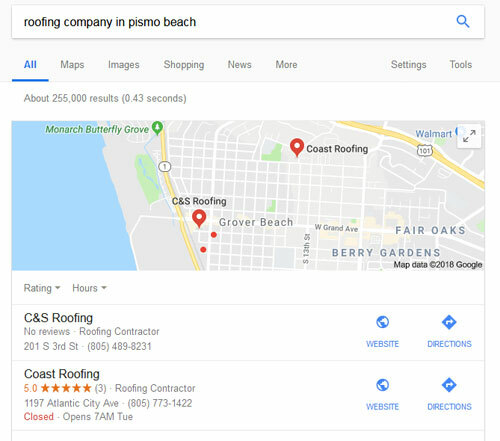 We target searches such as "roof replacement in [your location]" and a ton of other high converting searches. 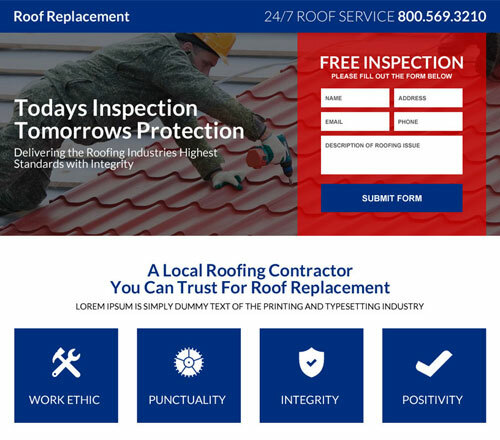 When a prospect clicks on your roofing ad, we send them to a landing page all about you and your roofing services and make it easy for prospects to contact you. Why Go With The HeyRoofers Roofing Leads Program? done Exclusive Leads: All leads are exclusive to you and not sent to 10+ other roofers. done Your Branding: We setup branded landing pages & ads with your company info so prospects know they are contacting you. done Live Leads: We target people who are searching right now for a roofer and will send you calls and emails as they make contact. done No Contracts: We do not lock you in! All roofing lead packages are month-to-month with the option to cancel anytime. done Quality Guaranteed: If any of your leads have invalid contact information or are not looking for roofing services, we credit you. done Full Service: We take care of landing page creation, pay-per-click ads, tracking, etc. so you can focus on converting your leads. Contact us below and a roofing leads specialist will get back to you asap. IS OUR PROGRAM RIGHT FOR YOU? We turn away many more roofers than we take on. We have strict requirements for the clients we take on because we want to make sure you will benefit and make money from our leads program. If you can answer "YES" to all of the following questions, our program would be a great fit. done Can you answer calls from leads during normal business hours? done Can you follow up with email leads quickly? done Will you follow up with leads in order to increase your conversions? done Do you have a good local reputation with no or very little bad reviews online?